1. The flue may have lost integrity and can leak smoke into rooms or other parts of the building. staining, inside or outside of the building. appliance and flue (particularity important when the chimney is on an external wall). 4. 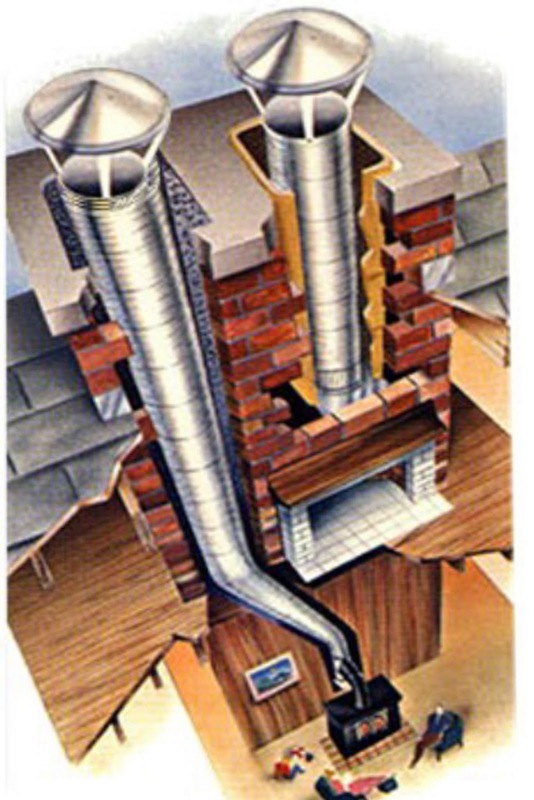 Defective flue systems may be eroded and rough. 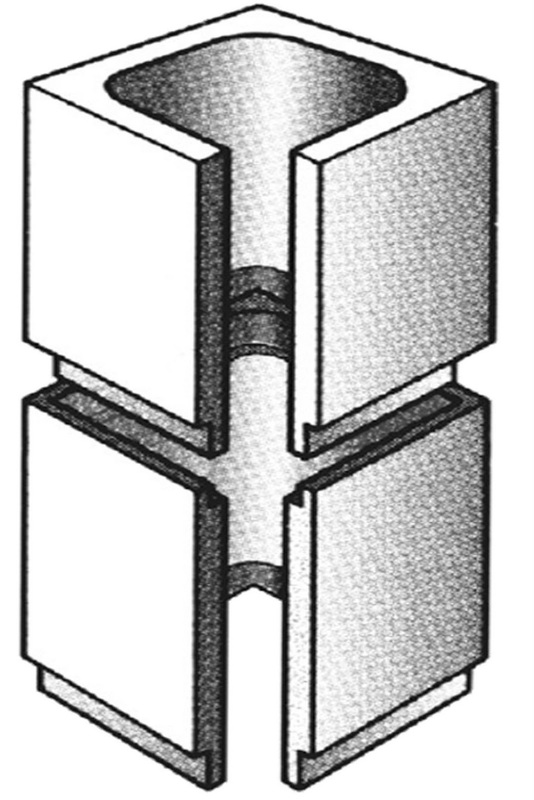 This will cause frictional resistance to the flow of the gases resulting in poor updraught. 5. Large flues (over 200mm) particularly ones containing voids may affect appliance performance. Some appliance manufacturers specify smaller flues for efficient operation. 1. Using rigid sections of clay, pumice or refractory liner installed by cutting into the chimney wall or by lowering sections down from the top of the stack and infilling with an insulating material. 3. 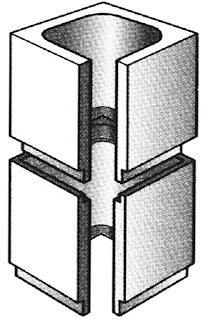 Stainless steel flexible liner in a continuous length lowered down the chimney. 4. Spray on coating by a specialist contractor. 5. Ceramic coating by a specialist contractor. appropriate solution for your need. occupants and should be rectified immediately. The Solid Fuel Association technical and consumer helpline provides helpful advice on any aspect of solid fuel appliance installation and use. The National Association of Chimney Engineers (NACE) provide a register of competent chimney engineers in the UK and Ireland for a variety of chimney work. The Association of Professional and Independent Chimney Sweeps sets standards for, and improve the knowledge and safety of sweeps in the UK. The Guild of Master Chimney Sweeps works to improve standards and professionalism in the UK chimney sweeping industry. They have a directory of Guild approved sweeps on their website. inspection and maintenance of chimneys. They have a directory of approved sweeps on their website. Trianco Stoves, The Newton Collection. Do I Need A Flue Liner?